The former head of referees Keith Hackett has claimed that the man in charge of Liverpool v Manchester United tonight is in actual danger, due to the fact he lives in such close proximity to Old Trafford. Why Taylor has been awarded the game is unknown, as there’s plenty of other refs qualified to take charge of the crunch clash. Taylor supports non-league Altrincham, but that doesn’t make the FA’s decision any less controversial. Hackett believes it’s utterly nonsensical, in fact. 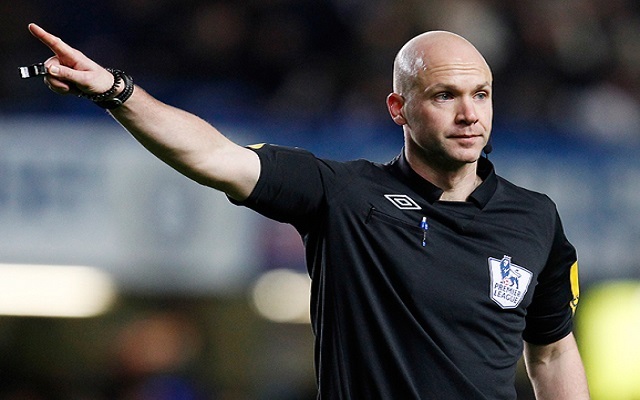 “I do not understand why Anthony Taylor has been given the Liverpool game against Manchester United and I do not think he should be doing it,” he said, reported in the Echo. “There is a risk to his personal safety and that of his family after the game if something was to go wrong. That is not right. The fact he lives so close to Old Trafford means he has been put under unnecessary pressure and it could have been avoided if the game had been given to another referee from the Select Group. Hackett’s comments are probably a bit hyperbolic and don’t actually do Taylor himself any favours, but there’s undeniably increased pressure on the ref. If he gives United any controversial, favourable decisions then Liverpool fans will accuse him of bias, and if he does the opposite – it will be construed as an effort to prove his neutrality. In short, unless Taylor has a flawless performance, very difficult in what’s going to be a tense, emotional atmosphere, he’ll face accusations.